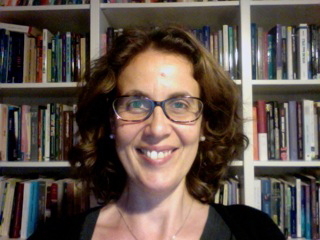 Serena Olsaretti is an ICREA Research Professor at the Universitat Pompeu Fabra. Before moving to Barcelona, she was a Senior Lecturer in the Faculty of Philosophy at the University of Cambridge, and Fellow of St. John’s College. Prior to that, she had been a Research Fellow at Emmanuel College in Cambridge, where she arrived after having spent several years at the St. John’s College of the University of Oxford, where she obtained an B.A., an M.Phil. and a D.Phil. in political philosophy. She has worked on questions regarding the ethics of markets, egalitarianism, and well-being. She is currently editing The Oxford Handbook of Distributive Justice and working on issues concerning justice and the family. My current work takes as a point of departure three observations. First, the existence and maintenance of any society, including a just society, depend on people’s having and rearing children. Second, having and rearing children are activities that create benefits and costs for parents, children, and society at large. Third, since these costs and benefits are substantial, their distribution gives rise to questions of justice. In light of these observations, it is apparent that we need principles for the fair distribution of the costs and benefits of procreation and parenthood among contemporaries and across generations. We can refer to these as the costs and benefits of children, for short, and to the principles specifying their fair distribution, among parents and non-parents and across generations, as principles of parental justice. The costs and benefits of children include the monetary and non-monetary costs and benefits involved in raising children: focusing on the costs side, these refer to the time, energy and material resources needed to bring up children from needy infants into increasingly less dependent and more autonomous persons. But the costs of children also include what I call the costs of added adult members, that is, the costs involved in meeting whatever claims of justice the new persons will make as adults, which, depending on our conception of justice, might include, for example, their claims to an equal share of (the value of) of natural resources, or their claims to a basic minimum, or to an equal share of the fruits of social cooperation. We currently do not have well-worked out principles of parental justice since most political philosophers to date have developed theories of justice for societies of fully formed adults whose numbers, creation and care are taken as given. By proceeding this way, most political philosophers have bracketed off questions of parental justice, but these questions lie at the very heart of the “problem of distributive justice”. This, in John Rawls’ terms, is: “(…) how are the institutions of the basic structure to be regulated (…) so that a fair, efficient, and productive system of social cooperation can be maintained over time, from one generation to the next?” (Rawls 2001: 50; emphasis added). Since procreation and parenthood are necessary to maintain a system of social cooperation over time, from one generation to the next, questions concerning the fair distribution of the costs and benefits of procreation and parenthood in fact occupy a central place in a theory of justice. More specifically, as I argue in my current work, a theory of justice that does not provide principles of parental justice is incomplete in three different ways. First, it is incomplete in the sense that it does not provide an examination of the full range of cases to which its principles apply: without an answer to the question of how the costs and benefits of children should be distributed, we do not know how principles which regulate the distribution of benefits and burdens apply to one particular type of cost and benefit, i.e. the costs and benefits of children. Moreover, when we keep in mind the costs of adult added members, too, we realise that theories that do not address the question of justice are also incomplete in a second, more fundamental, way: without an answer to this question, a theory fails to specify fully what its principles require about any particular case, since we do not know who has to pay for any of the benefits that our theory of justice says people are entitled to. In this sense, questions of justice that surround the creation of new persons constitute a special case. The creation of persons is an activity that creates costs the distribution of which raises questions of justice. But it creates (some of) those costs by creating the bearers of any and all justice-based claims. So an answer to the question of parental justice is an integral part of the question of who, as a matter of justice, owes what to whom. Third, a theory of justice that does not answer questions of parental justice cannot settle some crucial questions of intergenerational justice, including some questions of what the members of present generations owe to members of non-overlapping future generations. Certain views of intergenerational justice entail a certain view of parental justice, and vice versa. For example, a commitment to intergenerational equality understood as requiring that every individual, regardless of what generation she belongs to, receive an equal share of resources, entails that parents may not externalise the costs of any and all children they choose to have, as doing so could result in equality between members of different generations being disrupted. Since questions of parental justice and questions of intergenerational justice are so closely connected, theories of justice which do not address questions of parental justice cannot settle questions of intergenerational justice; insofar as they do offer an account of intergenerational justice without addressing questions of parental justice, they risk being internally inconsistent. Addressing questions of parental justice is then a central and pressing task for political philosophers concerned with distributive justice. It is also, in my view, something we should take interest in for two further reasons. The first is that an analysis of parental justice can complement the work done by those feminist scholars who have long emphasised that, in order to become the adults who inhabit just societies, individuals, born as infants and children for many years, require prolonged and demanding care whose crucial value is overlooked by theorists of justice. An affirmative answer to questions of parental justice would give us a further reason for condemning arrangements that penalise parents, who are typically women. Being able to appeal to such a reason would allow us to bypass thorny debates about the conditions under which true equality of opportunity for men and women is satisfied, as women would, qua parents, be entitled to assistance. The second reason why addressing questions of parental justice promises to be fruitful is that they provide an interesting test case for theories of justice that hold individuals responsible for the consequences of their choices, and which eschew appeal to comprehensive views of the good. It is interesting that among the few political philosophers who have paid attention to parental justice in the last few decades (these include Bruce Ackerman, Anne Alstott, Paula Casal, Matthew Clayton, Eric Rakowski, Peter Vallentyne, Andrew Williams; more recently, Richard Arneson, Paul Bou-Habib, Hillel Steiner, and Patrick Tomlin), most have argued in favour of asking parents to internalise many or most of the costs of children. They have often done so in the name of the ideal of responsibility, insofar as, at least under certain idealised conditions, parents choose voluntarily to have children and/or identify with their desire to have them. The conclusion that in a just society parents ought to internalise the costs of children may furthermore seem hard to resist once we exclude appeal to comprehensive conceptions of the good which might be invoked in support of sharing the costs of children, such as religious or nationalist views on which we ought to be fruitful and multiply, or a perfectionist ideal on which the project of parenting is deemed to be uniquely valuable. If it were true that a non-perfectionist, responsibility-sensitive theory of justice required parents to bear most or all of the costs of children, the theory in question may be less attractive as a result. To take it seriously would require that we revise deep-seated convictions. Although many people are ready to consider an imprudent motorcyclist liable for the medical costs of his dangerous hobby, few find the choice of parenting a justification for thinking that parents should pick up all the costs that arise as a result of deciding to create new persons. Whether responsibility-sensitive theories of justice can resist this implication is a question that needs addressing. This is an exciting time to be working on questions that relate to the family. As Samantha Brennan notes in her post on this blog, there is now lively interest in the family among ethicists – and increasingly among political philosophers. Theorists of justice must follow suit. Rawls, J. 2001. Justice as Fairness. A Restatement. Cambridge, Mass. : The Belknap Press of Harvard University Press. Serena, this is a very helpful overview! I wonder if you’re overly optimistic on the matter of gender justice. You say that addressing questions of parental justice promises can help us bypass difficult debates on equality of opportunity between women and men, because it is likely that women qua parents have special claims of justice. But supporting them qua parents may nevertheless undermine their opportunities qua workers. For instance: entitlements to extremely short maternity leaves may be impermissible on grounds of justice towards children, but the longer the maternity leave, the more likely things such as statistical discrimination. Many thanks, Anca, for raising this question. I think that answering the question of parental justice affirmatively (i.e. holding that nonparents and parents should share the costs of children) does not necessarily committ us to a particular view of what form support for parents should take, e.g. to a view on which that support should take the form of long parental leave, as you seem to be assuming. We may think that parents and non-parents should share the costs of children, and also hold that that sharing should take the form of publicly funded high quality childcare facilities. Whether considerations about children´s well-being are in tension with considerations about gender equality is, though important, a different matter. Thanks for the answer, Serena, I think you are right that not all forms of support to women qua parents will be detrimental to equality of opportunity. I was assuming that, whatever other forms of support will turn out to be due, *some* parental leave will very likely be part of the package – be it as short as the Dutch 3 months. (Unless we come to the conclusion that we should switch to entirely communal childrearing, in which case the very meaning of ‘parent’ is likely to change radically.) I also assume it cannot be permissible to force parents of both sexes to share parental leave equally. But even if we did away with *all* parental leave (assume there was no conflict here with children’s morally weighty interests), there would still be pregnancy; some women are tmporarily disabled by it, and if one has several children pregnancy time adds up to a sinificant amount. This is just to express scepticism that a re-evaluation of parental justice alone can get us around the issue of equality of opportunity between women and men. Biologiy (as Shulamith Firestone noticed a long time ago) and gender norms may be formidable obstacles?